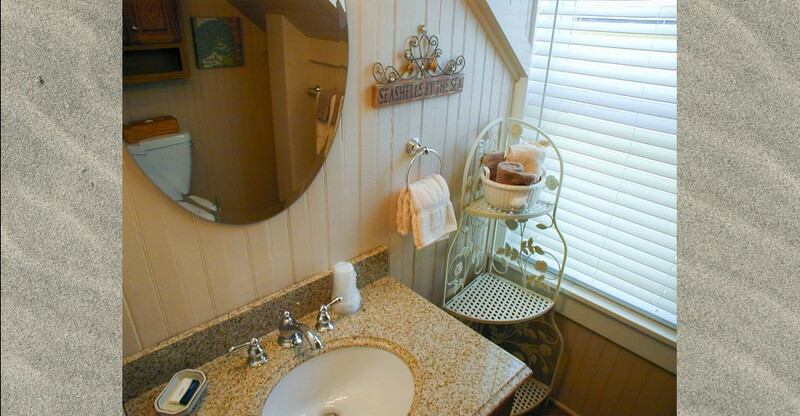 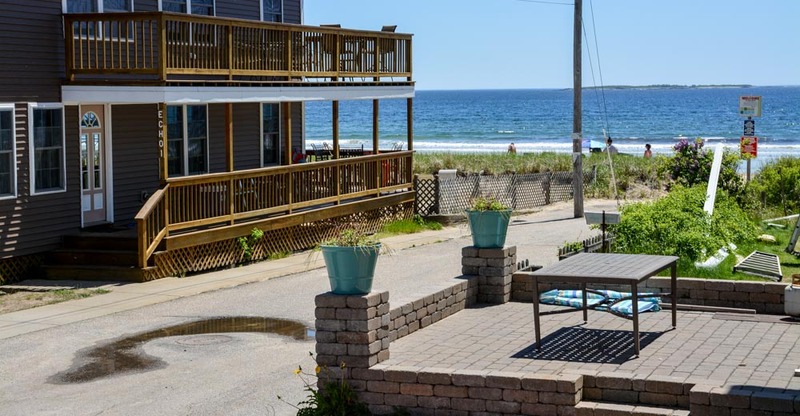 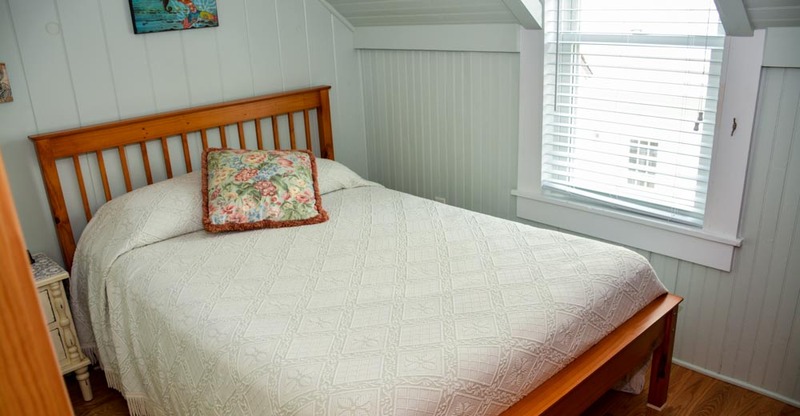 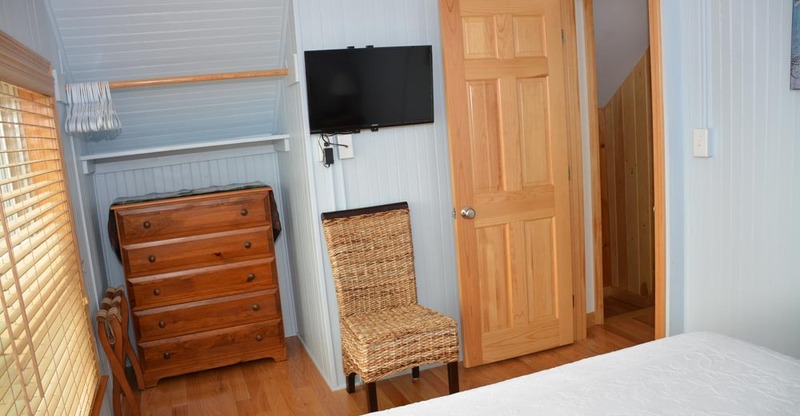 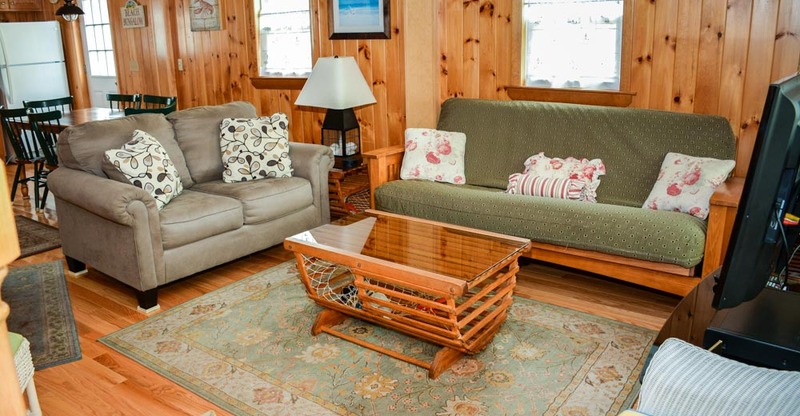 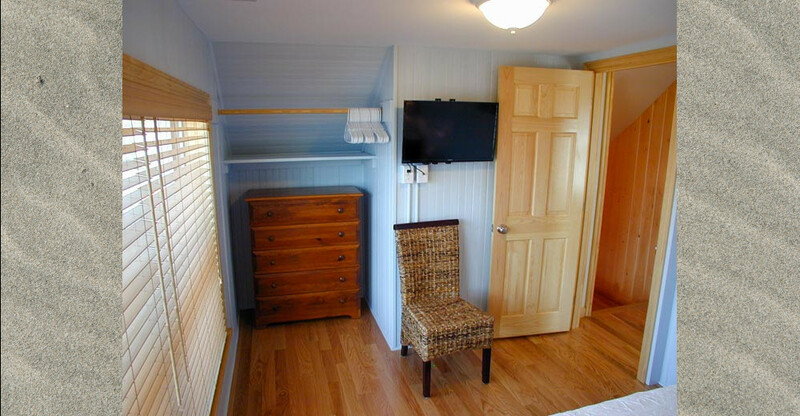 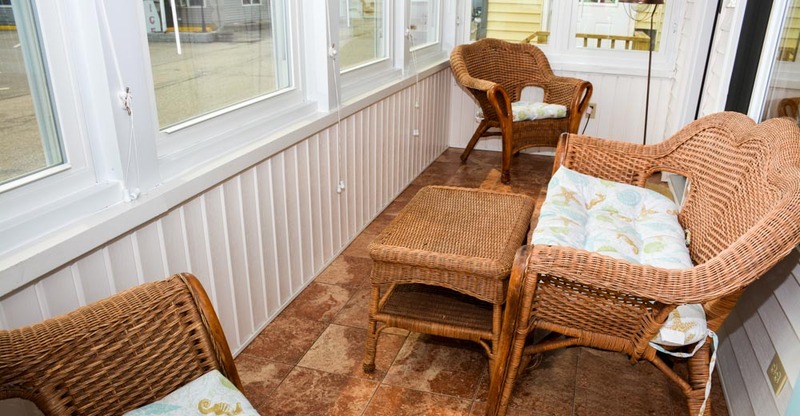 Beach Breeze is a centrally air-conditioned two story cottage only 50 feet from the Beach. 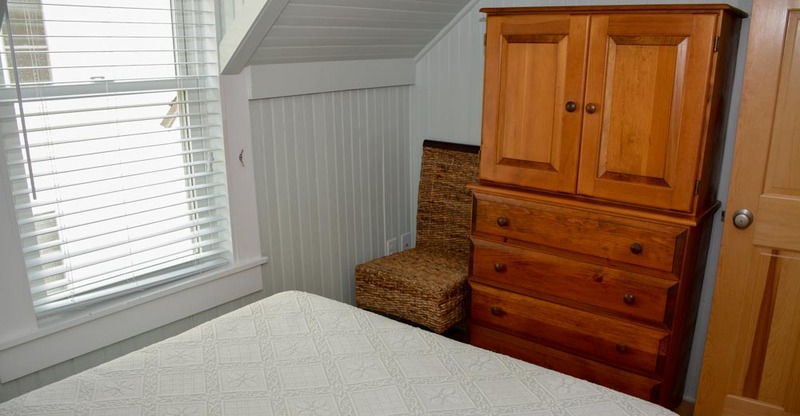 Newly renovated, it has the same nautical theme and charm as our other properties. 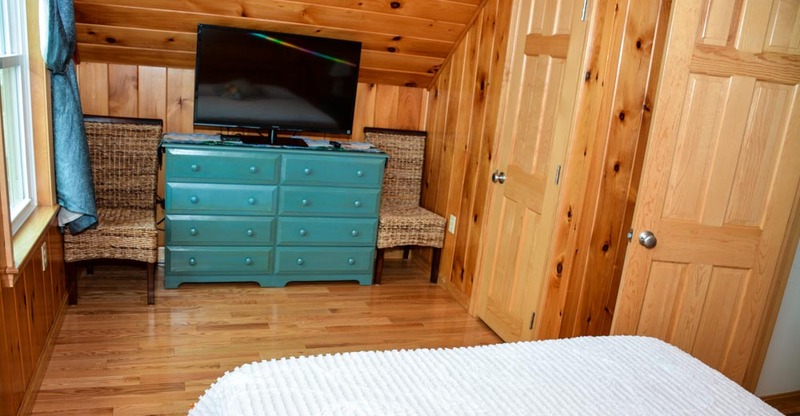 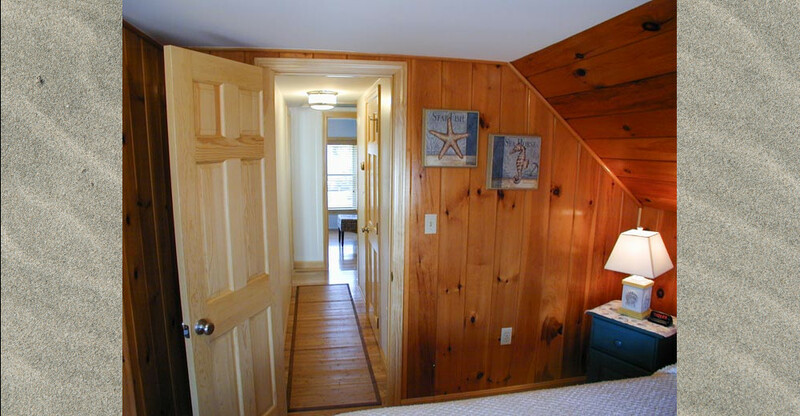 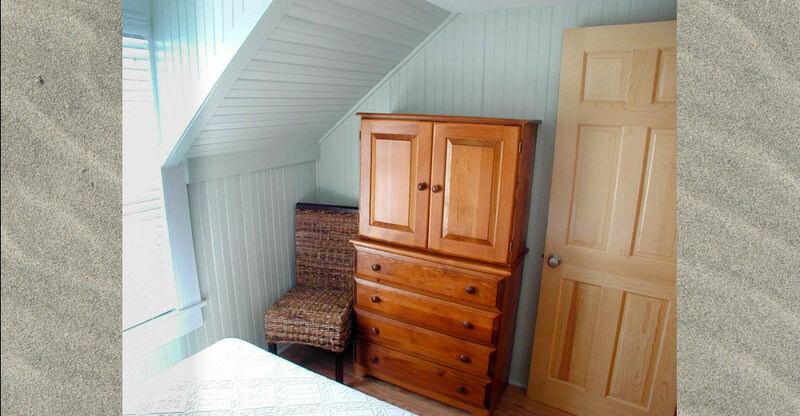 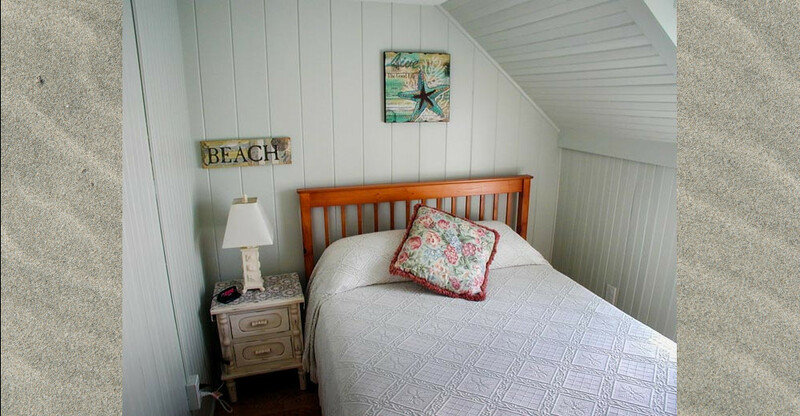 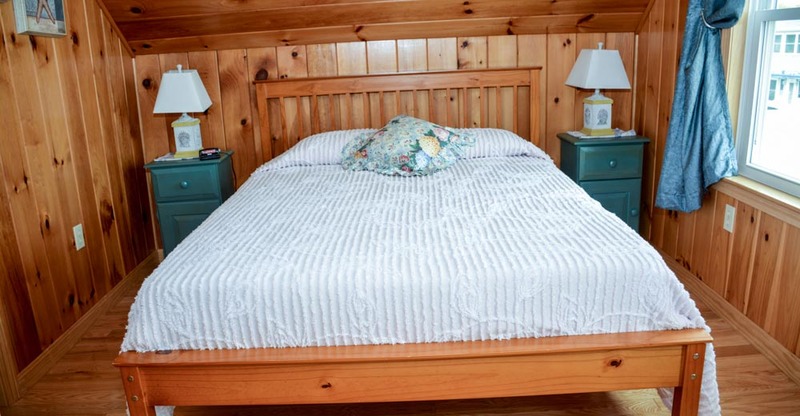 There are warm pine walls, coastal decorations and nautical bead board in the bedrooms. 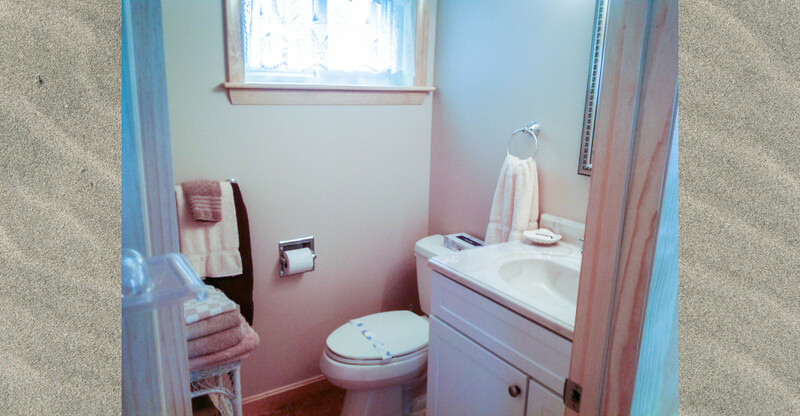 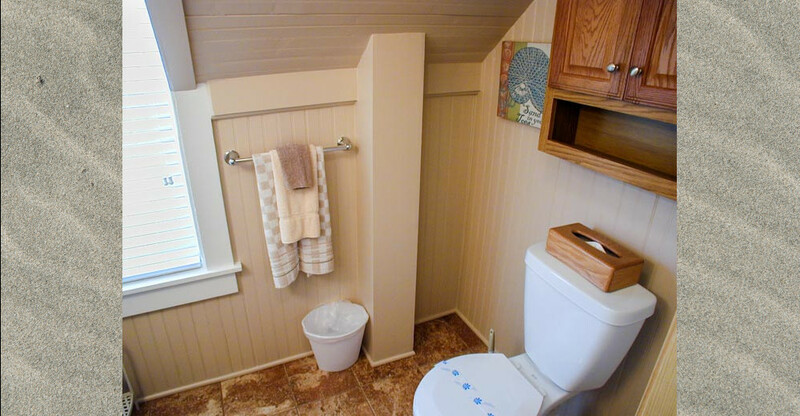 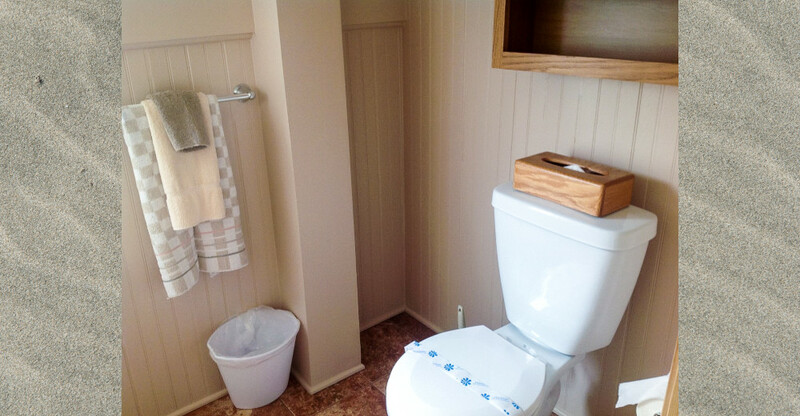 Flooring is red oak throughout the cottage with tile in the bathrooms. 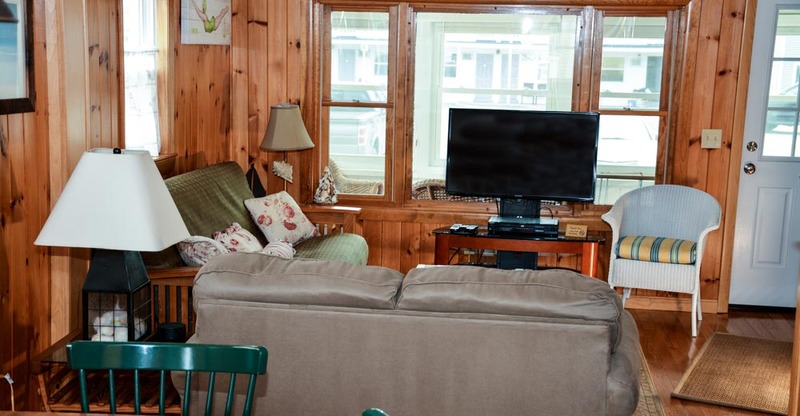 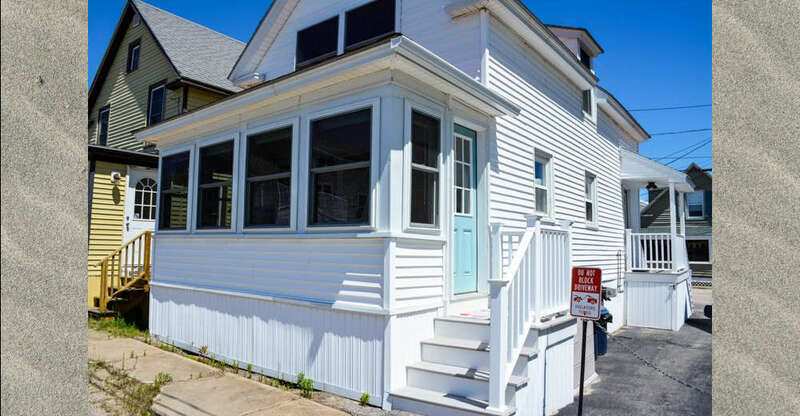 On the first floor is an enclosed sun porch which extends the width of the cottage along with a kitchen, living room and full bathroom. 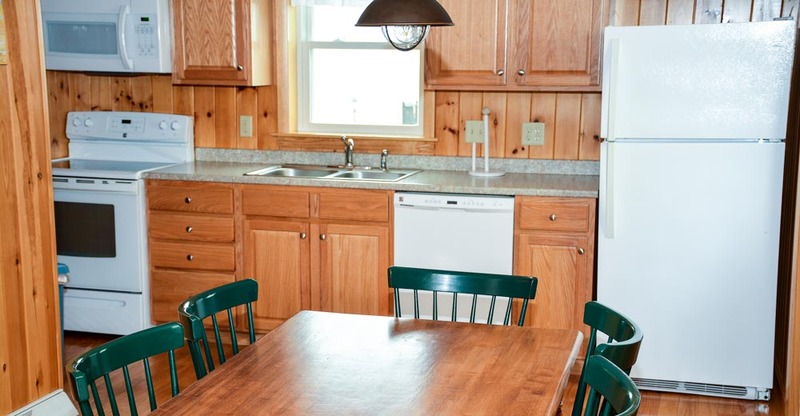 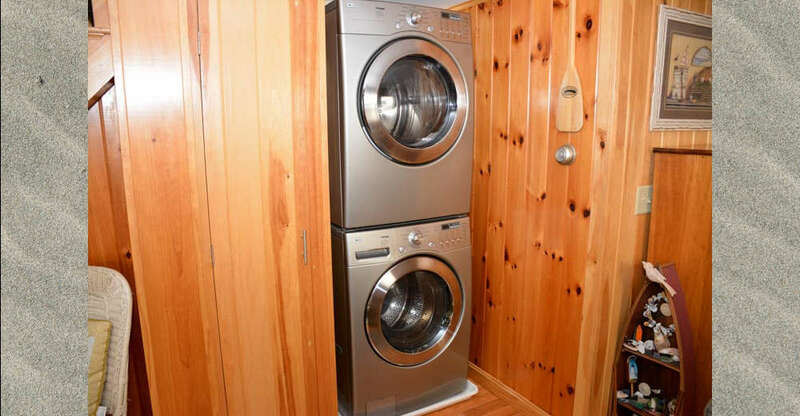 The updated kitchen has all new appliances including a dishwasher and washer/dryer. 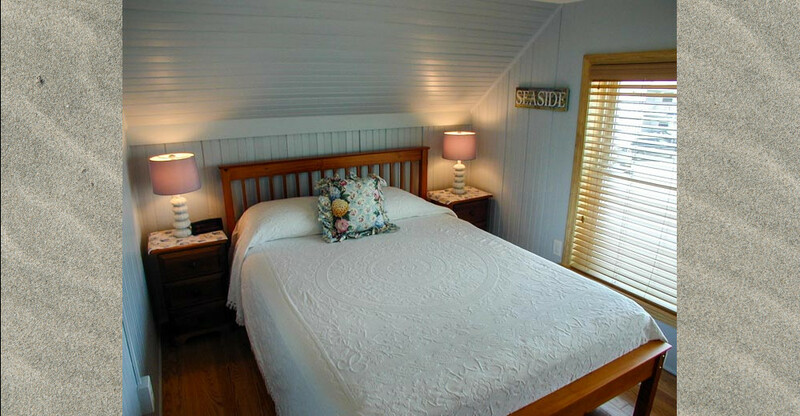 Located on the 2nd floor are 3 bedrooms which sleeps 6 persons, 2 queen size and 1 double bed and half bathroom. 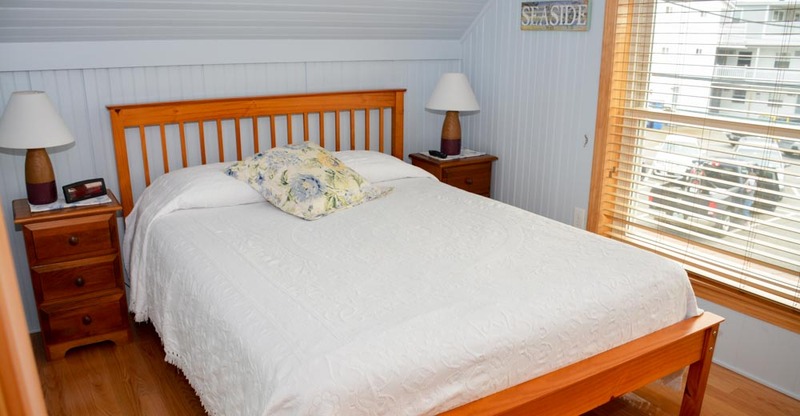 Beach Breeze is the third cottage from the beach. 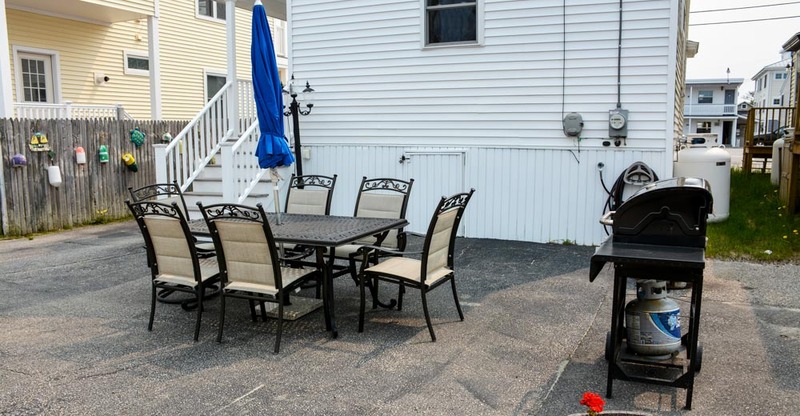 There is parking for two cars and an outdoor gas barbecue grill is available. 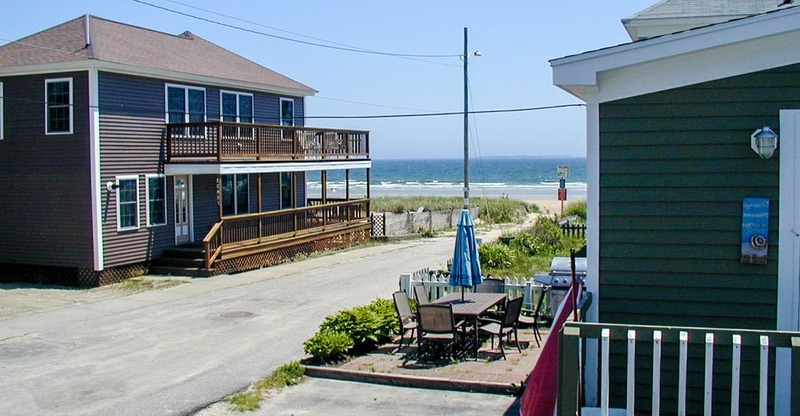 Weekly rentals Saturday through Saturday.